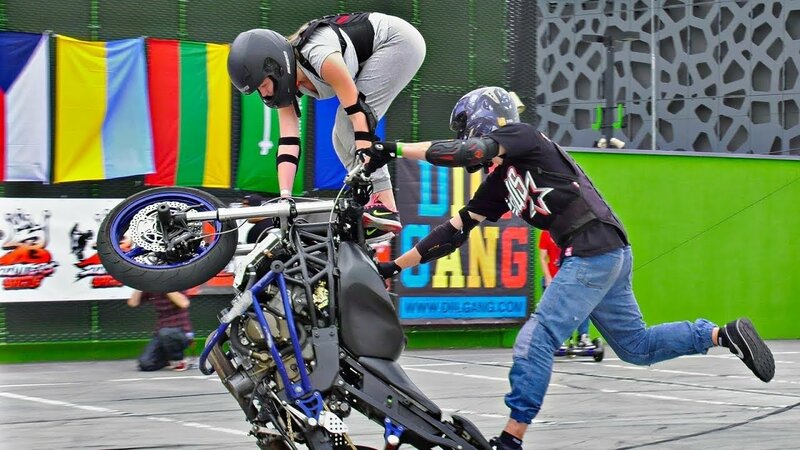 Young polish stunt rider Grzegorz Doering with his girlfriend made tandem show for all riders at Stunters Battle 2017. Check coaster, christ, complex tank and tower positions in circles and stoppie - good stunts for any rider but awesome for tandem! Grzegorz rides kawasaki ZX636 03-04 stunt bike.